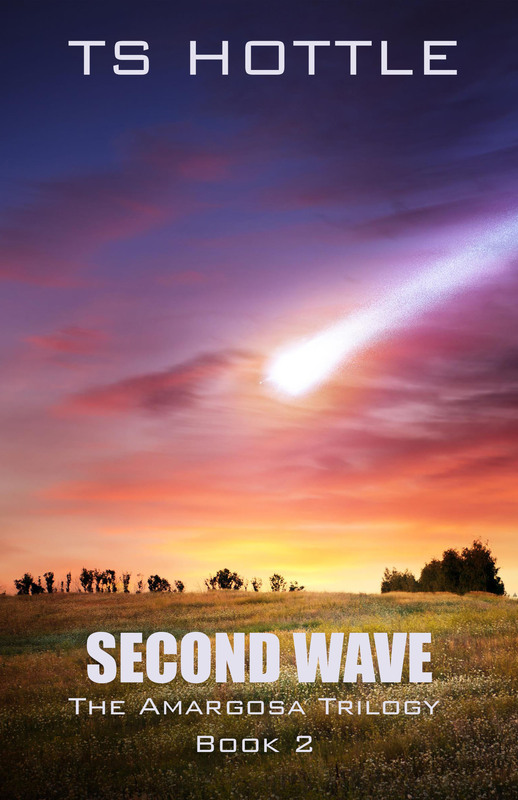 Second Wave – Book 2 of the Amargosa Trilogy, is currently 99 cents on Kindle. Hurry, before I decide I need to pay off my car and jack up the price. Eric Yuwono is not really a POV character in either Second Wave or The Children of Amargosa. But he is setup to be one in Storming Amargosa by the end of Second Wave. His function in the first book is primarily as a guide and foil to Davra Andraste. It’s clear from their first meeting that they’ve met, and the erstwhile Youth Cadet is eager to recruit this girl into the Marines and make a proper soldier of her. Early on, his own training as a cadet comes in handy. He knows how to handle an emergency, and he is the one who helps Davra, along with Conner Duffy and Ellie Nardino, survive a nuclear blast. But training only goes so far, and Yuwono’s bravado gets him into trouble as often as his skills get him out of it. He’s a soldier starting his career years earlier than he intended. And it shows. By the beginning of Second Wave, both he and JT Austin are considered veterans and tasked with training people twice or three times their age – Yuwono is 15 – to become soldiers. JT had to learn on the fly. Yuwono was trained by actual soldiers and instructors. Neither is impressed with the adults under their charge. Yet JT and Davra have completely different reasons for defying orders and going after the team searching for the fallen starship Ban Ki-moon. JT believes it’s the key to keeping his promise to the late Lizzy to get help and reclaim her family’s land. Davra thinks her talents would be better used getting the Moon functional and in service of the resistance, even if it does sit largely under water. Yuwono’s reason is more personal. He has a crush on Davra, which JT ribs him mercilessly over. Yuwono tries to deny it, tries to say his actions are because his father got sucked into Lucius Kray’s schemes or because he’s a good Marine. No one believes him until the end, when he’s sent off to pretend to be an enemy.